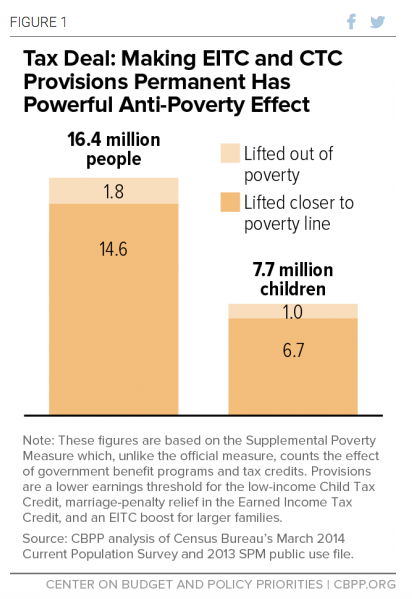 January 2015: The earned income tax credits (or EITC) and child tax credits (CTC) that support millions of American families in poverty were in serious danger of elapsing. So the Center on Budget & Policy Priorities (CBPP) came to M+R to develop a winning message for their national campaign to save the program and push back with words on some of the common misperceptions of the program. We first studied up on a wealth of existing message research — recent polls, research reports, media coverage, and in-depth interviews with campaigners at the state and federal levels. This information shone a light on how we could make the campaign’s wonky tax policy goal accessible and urgent to insider audiences. Even though the tax credits weren’t technically going to expire for two more years, we needed to be able to make CBPP’s ask to lawmakers on the Hill feel urgent and critical alongside other political and social movements like the fight for the minimum wage that were earning a lot of news and attention that summer and fall. And, because of the power dynamics and logjam in Congress, we needed to appeal in more and different ways to conservative audiences to get the campaign over the finish line. 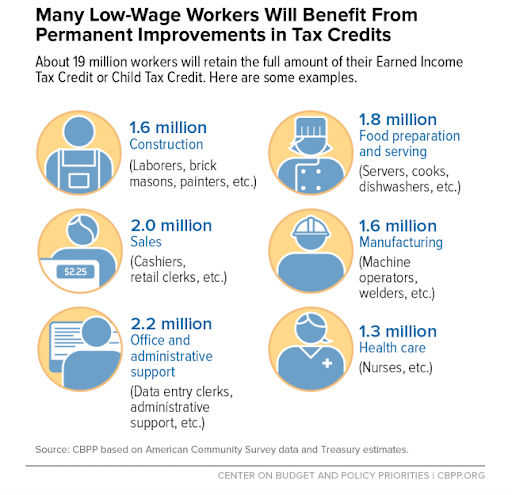 The campaign won in late 2015, when – buried in the massive omnibus legislation that Congress passed in December – CBPP helped to not only save the Earned Income Tax Credit and the Child Tax Credit improvements, but make them a permanent part of U.S. tax code.